As of early 2015, AIFD’s website listed one staff member, Jasser. It also had three board members: Samir Abdelkhalek, a student at the U.S. Military academy; businessman Arif Humayun; and Manda Zand Ervin, a contributor to neoconservative groups like the Center for Security Policy and the Gatestone Institute. AIFD’s founder and president, Zuhdi Jasser, regularly appears on outlets like Fox News, where he delivers far-right talking points about Islam and Muslims. One observer has said of Jasser’s work: "So how is it possible for someone who claims to be a devout Muslim to be an active participant in helping the promotion of anti-Islam sentiment? Therein lies Dr. Jasser's value to this multi-million dollar machine—to play the role of the 'good Muslim.'" AIFD’s main activity appears to be to publicize Jasser’s interviews and publications, which generally smear the work of leading Muslim civil society organizations. A key target of his attacks has been the Council for American-Islamic Relations (CAIR). Jasser and AIFD have received criticism for their close association with a number of hawkish and anti-Islamic individuals and organizations. In 2014, the Council on American-Islamic Relations (CAIR) revealed that between 2010 and 2012, AIFD received $45,000 from the Abstraction Fund, which has also funded Islamophobic groups like Robert Spencer’s Jihad Watch, Steven Emerson’s Investigative Project on Terrorism, and Frank Gaffney’s Center for Security Policy. AIFD has also received funding from the Daniel Pipes-led Middle East forum, as well as the Alan and Hope Winters Family Fund, which has donated to an array of anti-Islamic groups and also gave AIFD $45,000 between 2010 and 2012. The Klarman Family Foundation, the charitable organization of “pro-Israel” billionaire Seth Klarman that is the primary funder of the hawkish Israel Project, also donates to AFID. In its 2011 report "Fear, Inc.," the Center for American Progress (CAP) noted that AIFD had received funding from the William Rosenwald Family Fund, which has given millions to anti-Muslim organizations. The funding AIFD has received from these Islamophobic groups has spurred CAIR to call for an official investigation into Jasser’s membership on the United States Commission on International Religious Freedom. In its 2012 Form 990, AIFD reported $340,000 in revenues. Craig Harrington, “Right-Wing Media Attack Ben Affleck For Challenging Islamophobia,” Media Matters, October 7, 2014,http://mediamatters.org/research/2014/10/07/right-wing-media-attack-ben-affleck-for-challen/201057. Zuhdi Jasser, "The Mainstream Media: Islamist Facilitators," Real Clear Politics, April 20, 2007,http://www.realclearpolitics.com/articles/2007/04/the_mainstream_media_islamist.html. CAIR, “'Religious Freedom' Rep Funded by Same Group that Backs Islamophobes,” February 11, 2014, http://www.cair.com/press-center/press-releases/12374-religious-freedom-rep-funded-by-same-group-that-backs-islamophobes.html. 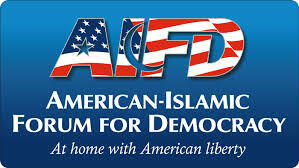 Conservative Transparency, “American Islamic Forum for Democracy,” http://conservativetransparency.org/recipient/american-islamic-forum-for-democracy/. Ali Gharib and Eli Clifton, “Group linked to Israeli lobby, neocons releases another Islamophobic film,” Electronic Intifada, May 20, 2009,http://electronicintifada.net/content/group-linked-israeli-lobby-neocons-releases-another-islamophobic-film/8246. Guidestar, 2012 Form 990, American Islamic Forum for Democracy, http://www.guidestar.org/FinDocuments/2012/710/940/2012-710940051-09e2a78a-9.pdf.